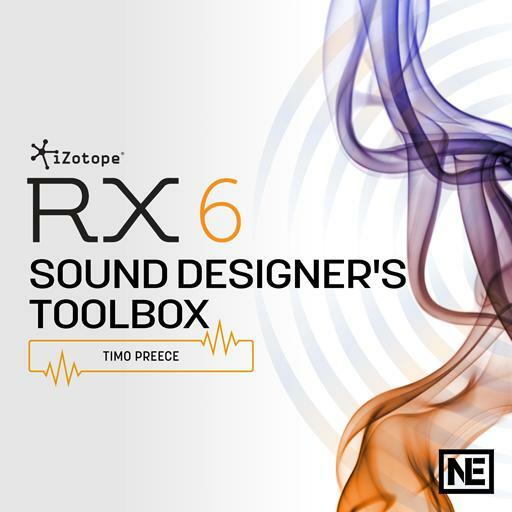 iZotope RX 6 201 - Sound Designer's Toolbox. _________ may be undesirable if you’re trying to convey something being in a space different from where it was captured. Composite View assumes that all files have the same ________. Time & Pitch uses iZotope’s sophisticated __________ algorithm. Which plug-in format is not supported in the RX Audio Editor? What’s the default key modifier for silence on both Mac or PC computers? The _______ must be first set up in RX to connect the RX Monitor to your DAW. ___________ can be used for drawing in volume curves. _________ is used when an audio signal contains many clicks that are close together and low in volume. Which parameter can be adjusted to help preserve transients? ________ controls the reduction of musical noise artifacts which can be a result of heavy denoising. Ambience Match is a module found in RX _______. Spectral De-noise’s Artifact Control can switch between Musical noise and _____________. Which is not an option for Find Similar Events? Pitch Contour can create up to __ pitch nodes per instance.